The college experience can be difficult for international students in the United States. Every semester, tens of thousands of foreign students enroll in colleges and universities throughout the U.S. to learn English and participate in scholastic programs. By doing so, international students hope to return to their respective homelands with a better chance of landing a job and fulfilling their dreams. At Salt Lake Community College, the International Student Affairs program is dedicated to helping international students achieve their educational goals. Salt Lake has become a popular destination for students who want to earn an associate degree. SLCC ranks sixth nationally among junior colleges in handing out the most two-year degrees, according to CollegeXpress. International Student Affairs works to inform all of its students of the resources available to them. Their office posts notices about the different tutoring services on campus and uses the SLCC OrgSync network to recruit fluent English students to help their international peers learn the language. 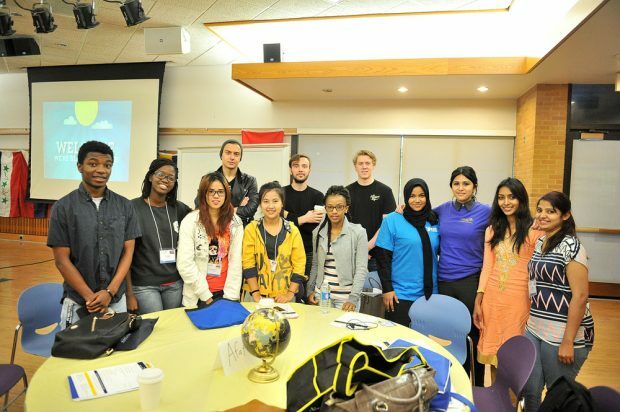 The program also partners with the Thayne Center to organize volunteer opportunities for international students looking to get involved in the community. Not only can SLCC international students enjoy a quality education, but they can also indulge in the rich and diverse range of American culture in Salt Lake City. The staff at International Student Affairs regularly shares recreational and social activities that foreign students can participate in while enrolled at SLCC. The front desk outside their office at Taylorsville Redwood Campus has travel and leisure brochures, manuals and magazines written in multiple languages, including Chinese and Spanish. Recreational activities organized by International Student Affairs include hiking in Moab, Red Butte, and City Creek Canyon. The events allow students to engage socially with each other while getting to know what Utah has to offer as a travel destination. International Student Affairs also tries to expose students to new places and activities. Last year, the program held orientation at a bowling alley, a place many of the international students had never seen or been to before. The application process for international students is no different at SLCC than any other school. Any international student applicant must complete a financial statement that declares a sponsor and their responsibility over the student. The sponsor must also acknowledge and provide proof that the student has sufficient funding to enroll as a full-time student. Student expenses total approximately $21,000 for one year. If the sponsored student arrives at SLCC with less than the amount indicated, SLCC may not allow the student to register for classes. Any foreign students who are interested in taking courses at SLCC can visit the International Student Affairs apply page for more information.